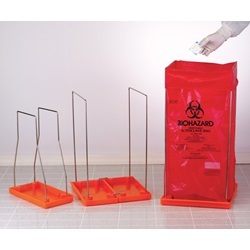 Bag is securely supported on a stainless steel wire frame and polypropylene bottom, which also serves as a containment tray in the event of bag leakage. 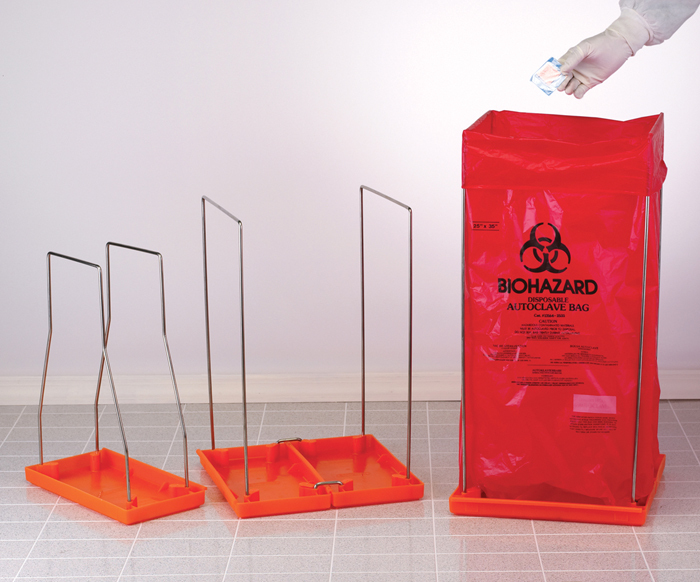 Tray is safety orange in color for easy identification as a biohazard containment system. Autoclavable at 121°C (250°F) to maintain sterility. The small bag holder is ideal for benchtop use. 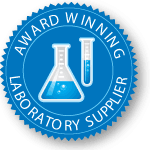 These lightweight units are shipped unassembled for more economical transportation. Assembly takes only minutes and is permanent.